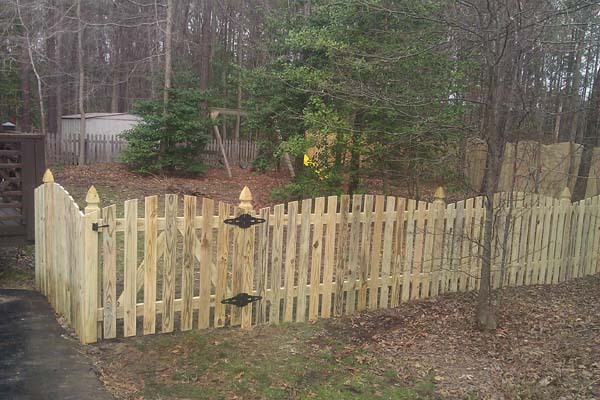 We offer a wide variety of choices for all your wood fencing needs. 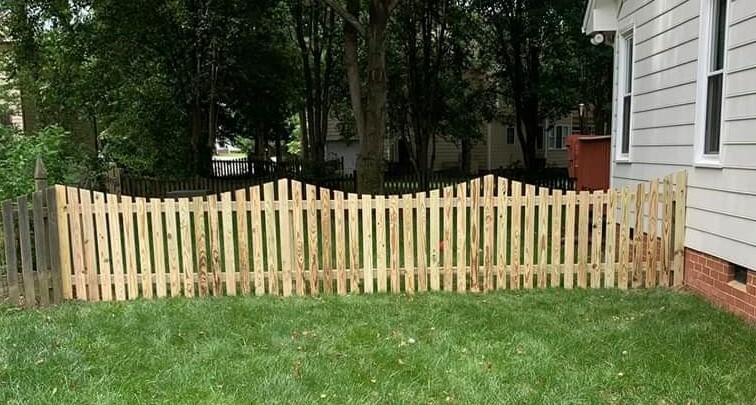 Whether you’re looking for a 4’ tall spaced picket, 6’ tall privacy, split rail, or something a little different; we can assist you with all of your wood fencing needs. 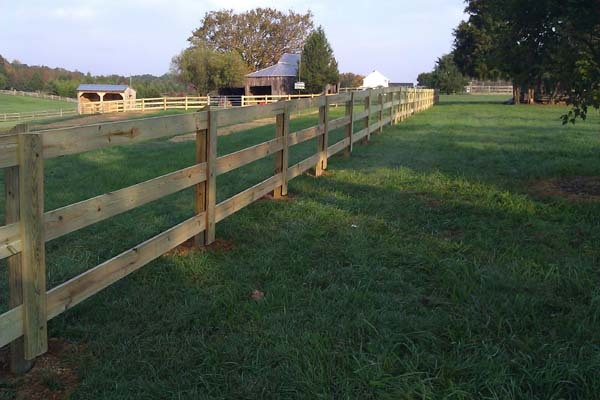 We pride ourselves in using only contractor grade materials, full 3/4” pickets available in 4” and 6” widths, 4” x 4” and 6” x 6” posts, 16’ rough cut boards, and 2” x 4” x 16’ dimensional lumber, all pressure treated for lasting durability. Quality is always our number one concern. Premier Fence Company's knowledgeable staff is always here to assist you with all of your wood fencing needs. 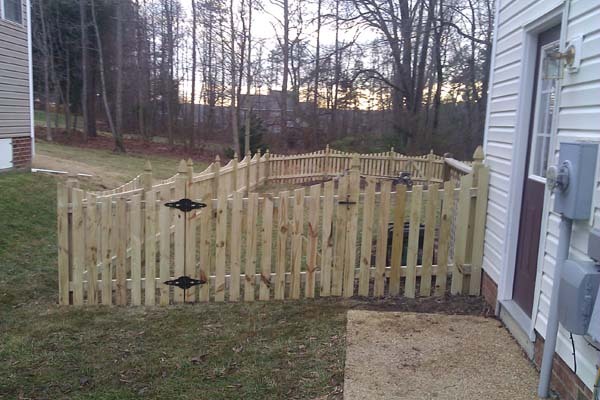 We can assist you in both deciding what is best for your application and providing you a detailed breakdown of all necessary lumber that you will need. Simply contact us with the footage of your project or send us a sketch including all measurements and gate locations. 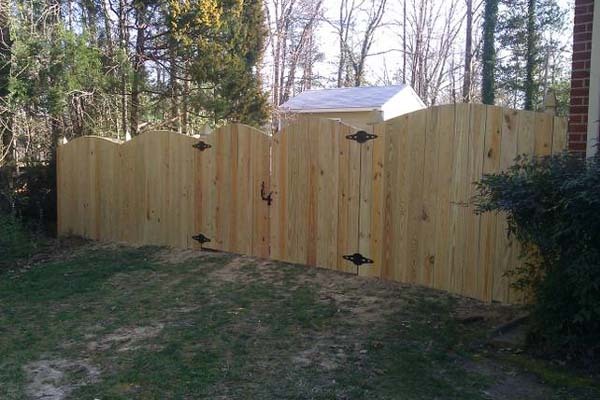 Premier Fence Company does not use pre-fabricated wood panels. Stick building your wood fence allows for greater flexibility, stronger construction, and a cleaner, more aesthetic look. All posts and pickets are available with different cut top designs and available in multiple lengths. All pickets are available in flat top or Dog Eared styles. 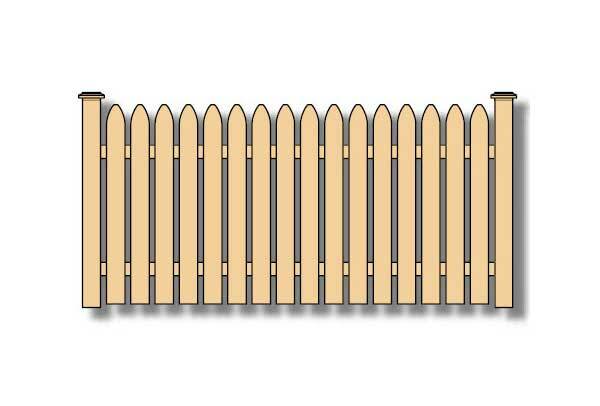 All posts are available in flat top or French gothic top styles. 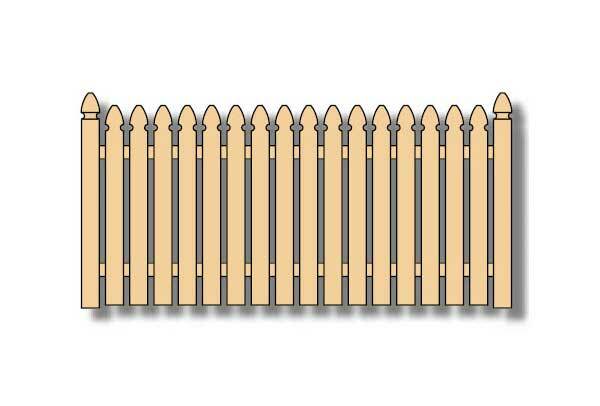 Our custom wood shop can handle pointed picket, French gothic picket, and gothic picket tops as well as Williamsburg and Club top posts.